Payment Instructions: PAYMENT - Payment may be by cash, cashiers check, certified funds, Visa, MasterCard or Discover. Online bidders will be charged immediately with the credit card on file with the Online provider you registered with if you have not made prior arrangements to pay by check or cash. Should the credit card be declined, an additional 2% buyers premium may be charged. Checkout Date & Times: Buyer will be notified if bids were successful and will be contacted regarding shipping. Kansas residents can pay cash during the live pickup. All sales made only in accordance with these terms. Please read them carefully. By registering to bid, or placing a bid, you accept and agree to abide by these terms. Announcements day of Auction day take precedence over printed material. 1. BUYERS PREMIUM -On-line bidders using Proxibid.com will pay 15%. Sales tax will be collected on items picked up live or shipped to Kansas residents. There is no sales tax on absentee bid purchases shipped out of state. 2. PAYMENT - Online bidders will be charged immediately with the credit card on file with the Online provider you registered with if you have not made prior arrangements to pay by check or cash. Should the credit card be declined, an additional 2% buyer's premium may be charged. (Shipping charges will be billed separately from your auction purchase(s), and will include amounts for shipping, insurance, materials & labor, SEE #5 BELOW) 3. AS IS / WHERE IS - Generally, items in this auction are sold as is, where is, with no guarantee whatsoever. Guns and ammunition are specifically NOT warranted for shooting. Any used firearm should be inspected by a competent gunsmith for safety, function, and proper ammunition type before attempting to fire. Any description of mechanical function or condition does NOT mean the gun has been inspected or Okayed for shooting. Ammunition of unknown origin should not be fired, and the ammunition in this sale is sold for salvage of components or as collectibles only. 4. ACCURACY OF DESCRIPTION IS NOT GUARANTEED - Although we do our best to provide good descriptions and enjoy a good reputation in this regard, no portion of any description is guaranteed. Such qualities as condition, age, origin, historical attribution, quality, originality, measurement, significance, percentage of finish, alteration, restoration, and estimated value are opinion only, and are not guaranteed. You are strongly urged to inspect each item on which you bid and to base your bids on your own opinions and observations. 5. SHIPPING & REMOVAL - Purchase is final and buyer assumes all risk & responsibility for the purchase at the end of the timed auction. On most cataloged items, Kull Auction Co. will pack & ship for you if you wish at your expense & risk. Basic shipping charges, (under $500 total value) inside the continental U.S. (lower 48) are expected to be $40 for the first long gun, plus $20 for each additional that can be packed in the same box: antiques handguns or modern handguns (under $500 total value) shipped to FFL Dealers for $25 for a single handgun, $15 for each additional handgun in the same box. Federal law requires the C&R handguns shipped to C&R licensees go via common carrier air service, and the usual charge for the will be around $50 for the first handgun, plus additional for additional items in the same box. 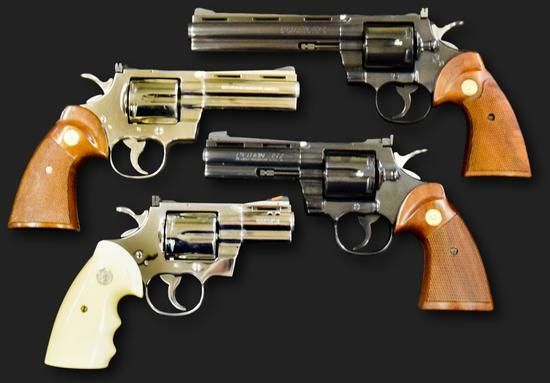 All C&R handguns shipped to California must be shipped to an FFL dealer. These are average estimates; oversize, special packing or high value, (over $500.) etc., will increase shipping costs. Shipping prices will vary based on insured value, destination, method & packaging. There will be a $10 minimum handling fee all on shipments. Shipping charges will be billed separately from your auction purchase(s), and will include amounts for shipping, insurance, materials & labor. All ammo shipped to CA must be sent to a Licensed Ammo Dealer. Shipping questions contact Chance@ArmsBid.com We WILL NOT SHIP: ammo to Puerto Rico, Hawaii, Alaska or Massachusetts. We do not ship primers, powder, unusually bulky or heavy or odd shaped items. NO INTERNATIONAL SHIPMENTS OF FIREARMS OR RELATED MATERIAL THROUGH PROXIBID.COM INTERNATIONAL BIDDERS MAY BID, HOWEVER ALL BIDS MUST BE PROCESSED THROUGH OUR OFFICE. ONCE ACCEPTED AND YOU ARE THE SUCCESSFUL BIDDER, ARRANGEMENTS FOR EXPORT, MUST BE ARRANGED BY YOU AT YOUR RISK AND EXPENSE. *** NO EXCEPTIONS *** For International bidding, please contact Chance@ArmsBid.com 6. By placing a bid on ProxiBid.com, you request and authorize us to bid on the lots up to the stated bid price. An Online employee or Kull Auction staff member will bid on your behalf, as if you were present. We assume no responsibility for failure to execute absentee bids for any reason whatsoever. You've been outbid to W****.! to YOU!